There are still many ways to donate to Harvey relief. One of the best is the Evangelical Free Church (EFCA) Crisis Response organization. On the other hand, there are also unique needs that Trinity can meet if we have the financial resources. 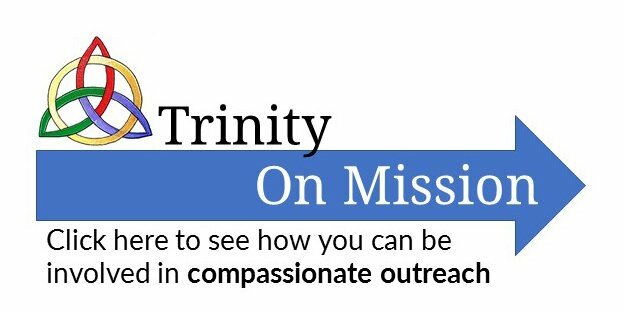 So click this link to make direct donations (tax deductible) to Trinity. My husband and I have a small farm just south of Fort Worth and have an extra room for a family to stay in. If you have a family with small children and need a place for the next 2 to 3 weeks, please text or call me. Thank you for this offer to help a family. If we have someone that comes up with this need we will let you know. Presently everyone is working on trying to clean out their homes and get all the wet stuff out. I have clothing and shoes for a baby girl that I would like to donate from NJ. Please email me. Thanks for being willing to donate things for those that have lost so much. You can email me at ivafoster@sbcglobal.net.